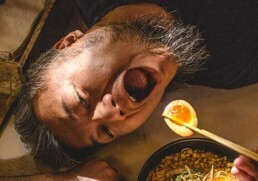 Ramen Tatsu-ya is the long-awaited collaboration between local chefs/DJs, Tatsu Aikawa and Takuya Matsumoto. The two of them first met as they were busy making their marks on the Austin scene as hip-hop DJs. After following an eerily parallel timeline, honing their crafts at notable Austin establishments such as Musashino and Second Bar + Kitchen, Tatsu took a leap and moved to Los Angeles. There, he worked in one of the nation’s most respected Kaiseki/Sushi bars, the two Michelin star restaurant Urasawa. On his return, he began working with Takuya on birthing Tatsu-ya. “I was craving good ramen after having lived in Japan and LA. 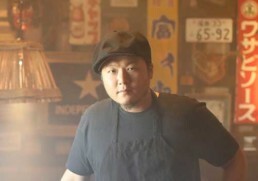 I wanted to provide that same quality and authenticity in Austin, the city I call home.” says Tatsu. 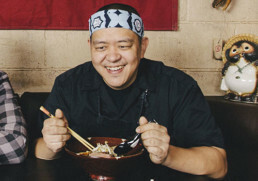 “We want to educate people on what ramen truly is. It’s the soul food of Japan. The process of broth-making can take an extremely long time in order to draw out the flavors from each ingredient.” A far cry from the 10-cent package ramen most of us know all too well.